First, we took you to the remote chilly outcrop of Isle of Harris, Scotland. 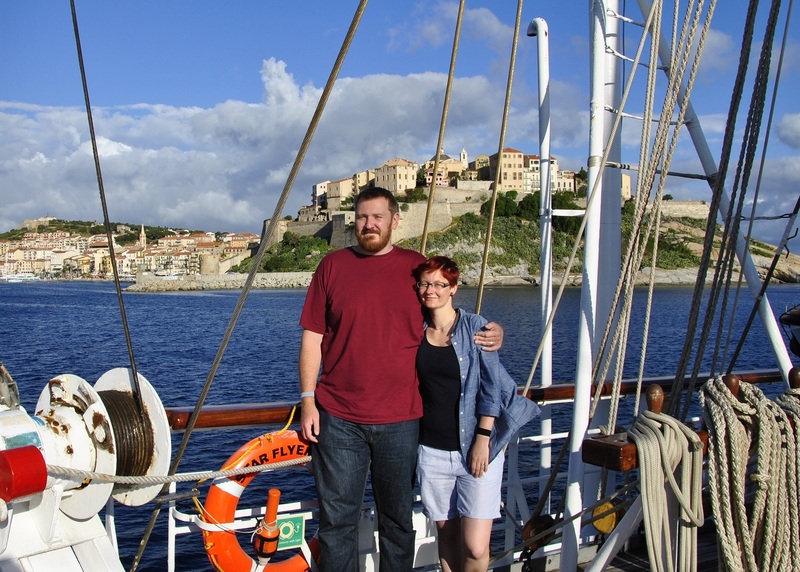 Then we experienced the Mediterranean charms of Corsica, France. Next, cultural Quebec, Canada and fun Dubai, UAE. 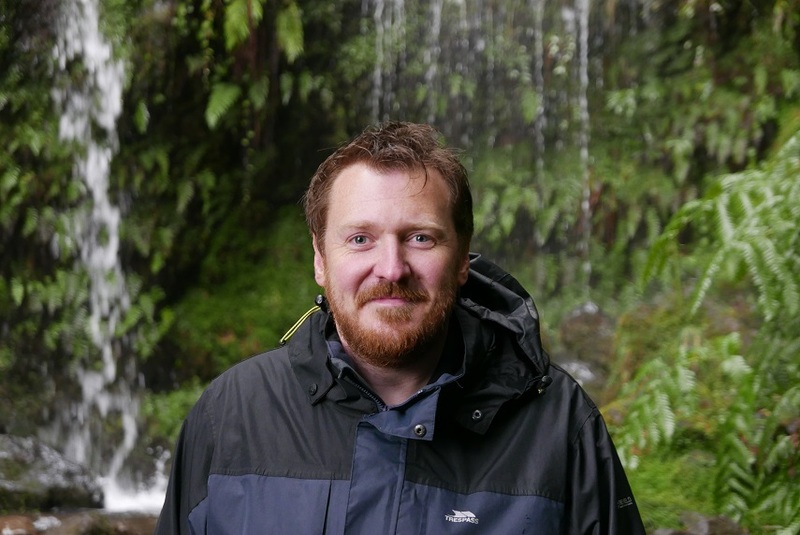 Now, for our fifth and final (in 2016) Our Travels blog, we are heading back to Europe to the far northern hotspot of Reykjavik and Southwest Iceland. 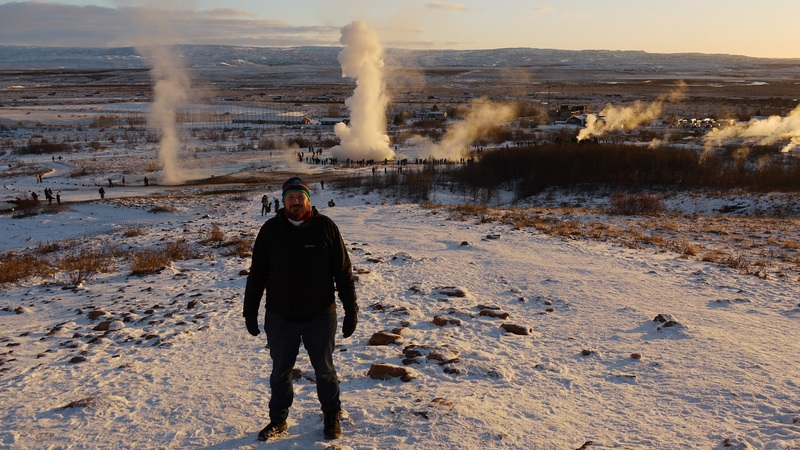 Joe standing in geyser valley, with the famous Strokkur geyser erupting in the background.